I had the opportunity to mix for Autohypnosis. Many of the tracks I got were FM synthesis and samples. There were some very cool sounds, but so many of the tracks were artificial that it also sounded kind of sterile and homogenous. I wanted to sneak a little bit of an organic feel in there. I decided to re-amp some of the synths. Everything that I re-amped was reproduced using a Genelec 1030A powered speaker. Sometimes people re-amp to create cool flavors of distortion, but that wasn’t the goal here. 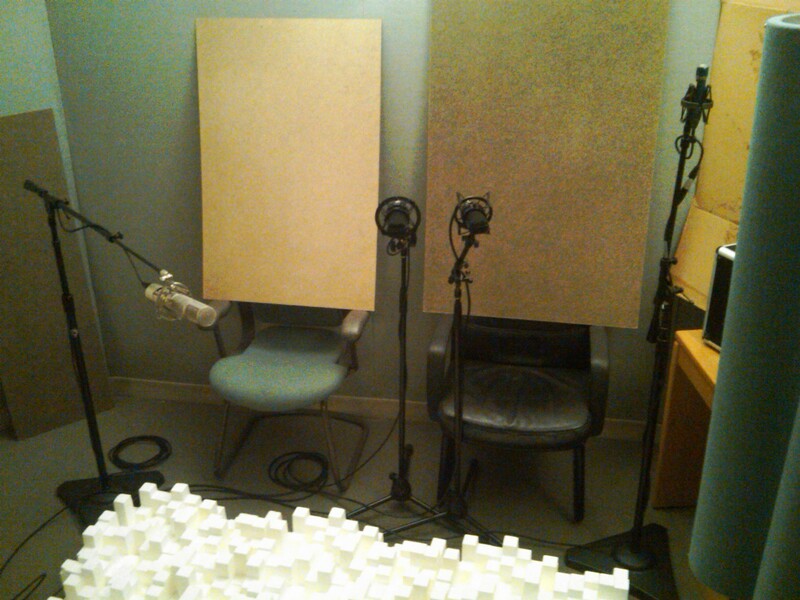 Instead, I wanted to record room reflections. So in the room next door I placed microphones around the corner. The point was to get as little of the direct sound from the speaker and as much room reflection as possible. I used diffusors, big pieces of board and cardboard to make the sound bounce around the room like crazy. It wasn’t quite a reverb chamber, but it was significantly more live after all of my redecorating. Have a listen to these two examples. Mix Tip 2 — re-amping a stereo synth to re-make the stereo image. Everything you did on the album was amazing. It wouldn’t be the same record without all the coffee-powered hours you put into it.